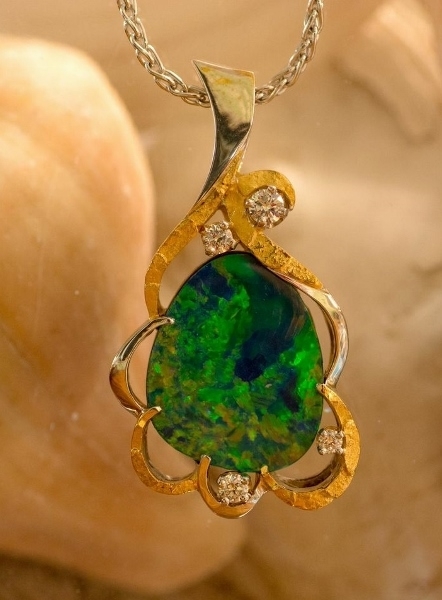 This gorgeous hand crafted pendant is set with an Australian opal, natural Alaskan gold nuggets and four stunning diamonds in 14Kt white gold. 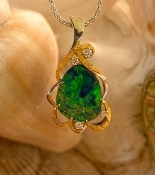 This custom opal pendant has sold. However, a similar design could be custom made for you. Give us a call at 907-456-4991.